Is this vegan omega-3 fatty acid the new fish oil? If you’re seeking a supplement to help boost your levels of omega-3 fatty acids, you may have heard of a natural product called ahiflower oil. A source of several types of essential fatty acids, ahiflower oil is fast becoming a favored alternative to fish oil and flaxseed oil. Although ahiflower oil lacks a long history of consumption by humans, i.t’s gained popularity as a dietary supplement in recent years. Manufacturers claim that the oil serves as the richest commercially available plant source of stearidonic acid (or SDA, a type of omega-3). Stearidonic acid is converted in the body to docosahexaenoic acid (DHA) and eicosapentaenoic acid (EPA), the types of omega-3 fatty acids in fish oil. Ahiflower oil is derived from the seeds of a plant called Buglossoides arvensis, which is a member of the borage family. Its common names include corn gromwell and field gromwell. Why Do People Take Ahiflower? Vital to your health, omega-3s have been found to reduce chronic inflammation—a key factor in staving off disease. Research suggests that omega-3s may help reduce your risk of heart disease and some forms of cancer, as well as protect against common conditions such as osteoarthritis and depression. In addition, omega-3s are considered crucial for brain function. Omega-3s are available in a variety of foods. For example, oily fish like salmon, tuna, and halibut are high in DHA and EPA, while plant foods like flaxseed and pumpkin seeds contain an omega-3 called alpha linolenic acid (ALA). However, many people use dietary supplements like ahiflower oil as a means of increasing their omega-3 levels and, in turn, achieving a variety of health benefits. Part of the appeal of ahiflower is that only a small percent of the ALA in most vegan sources of omega-3 fatty acids (such as flaxseed oil) is converted to DHA and EPA. The conversion of stearidonic acid to DHA and EPA is considered much more efficient. Since ahiflower oil comes from a plant, it’s particularly appealing to those seeking a vegetarian or vegan substitute for fish oil and krill oil (two of the most widely used sources of omega-3 fatty acids). And with increased demand for omega-3 supplements linked to the overfishing of certain species of marine life, it’s also thought that ahiflower oil might make for a sustainable alternative to fish oil and krill oil. Not only a source of omega-3s, ahiflower oil also contains omega-6 fatty acids. Found in a number of vegetable oils, omega-6s play a major role in brain function in addition to regulating metabolism and maintaining bone health. Because ahiflower oil’s use as a natural remedy is fairly new, few scientific studies have looked into its possible health benefits. The available research includes several small clinical trials, including a study published in the Journal of Nutritional Science in 2016. For this study, 40 healthy people had their daily diets supplemented with either ahiflower oil or flaxseed oil for 28 days. While both groups saw an increase in their levels of ALA and EPA, those given ahiflower oil had a greater boost in EPA levels. In another study, published in the journal Nutrients in 2017, 88 healthy people consumed a supplement containing ahiflower oil, sunflower oil, or a combination of the two oils every day for 28 days. By the study’s end, participants treated with ahiflower had experienced a greater increase in their levels of certain anti-inflammatory substances (including a protein called interleukin-10). Although more research is needed to determine the health effects of ahiflower, these studies suggest that ahiflower shows promise as an inflammation-fighting supplement. Due to the scarcity of research on its health effects, little is known about the safety of taking ahiflower oil. However, as with all omega-3 supplements, there’s some concern that high doses may increase the risk of bleeding. Therefore, people with bleeding disorders (or anyone using blood-thinning medications) should take caution when consuming ahiflower oil. It’s also important to note that self-treating a chronic condition with ahiflower oil and avoiding or delaying standard care could have serious consequences for your health. You can load up on omega-3s by eating fatty fish (such as salmon, mackerel, herring, sardines, and tuna) at least twice a week. If you don’t eat fish, try enriching your diet with foods like flaxseed, soybeans, pumpkin seeds, and walnuts. It’s possible that taking a dietary supplement such as ahiflower oil may fill in nutritional gaps in your diet and help you to attain optimal levels of omega-3s. 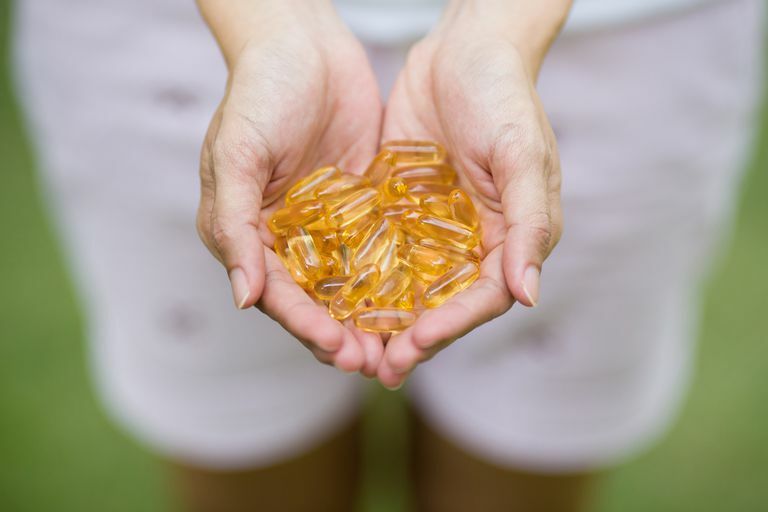 If you’re experiencing symptoms like fatigue, impaired memory, mood disturbance, and poor circulation, talk to your doctor about whether you need to start taking omega-3 supplements. Lefort N, LeBlanc R, Giroux MA, Surette ME. Consumption of Buglossoides arvensis seed oil is safe and increases tissue long-chain n-3 fatty acid content more than flax seed oil - results of a phase I randomised clinical trial. J Nutr Sci. 2016 Jan 8;5:e2. Lefort N, LeBlanc R, Surette ME. Dietary Buglossoides Arvensis Oil Increases Circulating n-3 Polyunsaturated Fatty Acids in a Dose-Dependent Manner and Enhances Lipopolysaccharide-Stimulated Whole Blood Interleukin-10-A Randomized Placebo-Controlled Trial. Nutrients. 2017 Mar 10;9(3). Swanson D, Block R, Mousa SA. Omega-3 fatty acids EPA and DHA: health benefits throughout life. Adv Nutr. 2012 Jan;3(1):1-7.